Beers Made By Walking is a program that invites brewers to make beer inspired by nature hikes and urban walks. Each walk is different, each beer is a portrait of that landscape. Join this year's BMBW crew as we introduce eight new beers to the Pikes Peak Region! 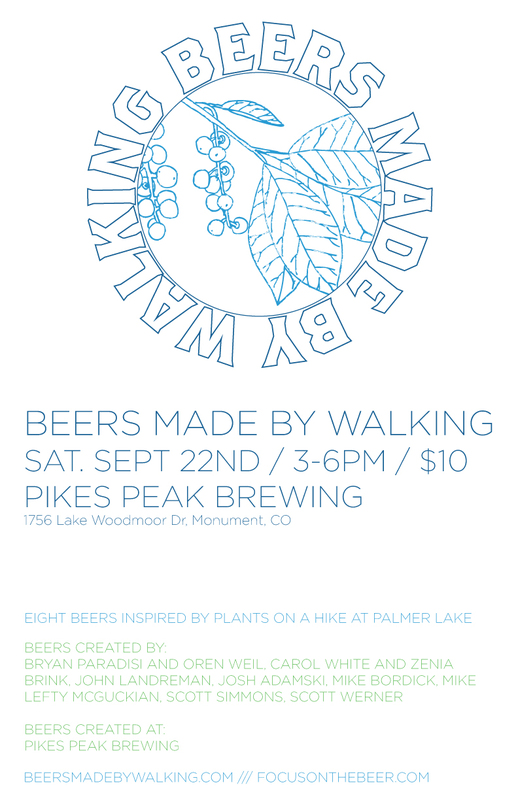 The beers will be available at Pikes Peak Brewing Co. on Saturday September 22nd, from 3-6pm, and the cost is $10. Both Pikes Peak Brewing and Phantom Canyon Brewing will select a beer that will be re-brewed and sent to Denver for a party at Wynkoop on October 9th for an All-Colorado Beers Made By Walking event. Information about that event will be available soon.